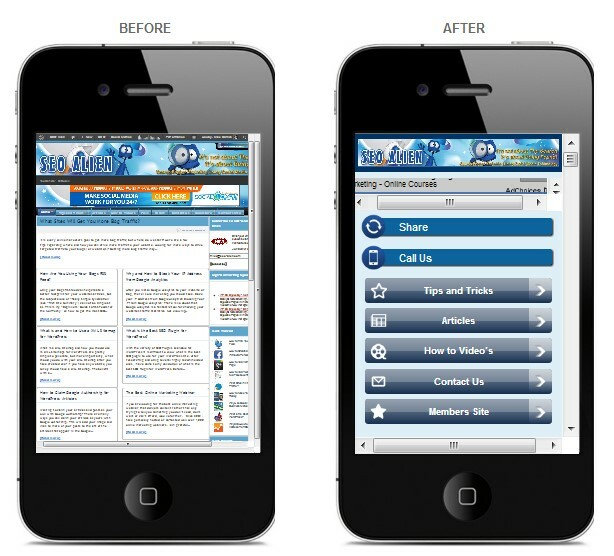 Why is Mobile Friendly Web Design Important? If you have been searching the internet on your mobile device in the last few years you have most likely seen the words Mobile Friendly displayed next to listings on Google and Bing.. Ok… So what does it mean if your site doesn’t have those two little words next to your listing?? 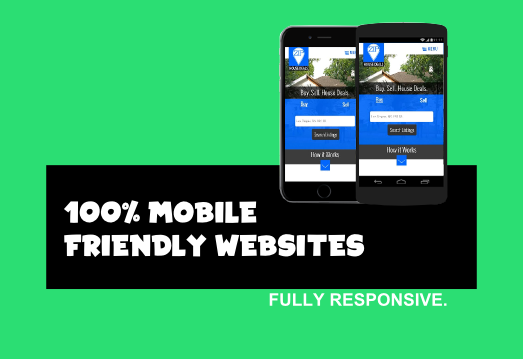 In short – if your listing on Google or Bing doesn’t have the words Mobile Friendly next to it, then your site search engine ranking is probably suffering on mobile devices.. And maybe your listing has only dropped down 3 spots or so.. FOR NOW – dun dun dunnn.. But with upcoming changes to search engine algorithms (because of increased mobile searching) your listing will drop even further if it is not optimized for mobile devices like now. So what does that mean for you?? If your site is mobile optimized “your golden”! if it’s not.. You have to give some attention to this matter. and fast..
What Does Responsive Website Mean? The term responsive website means the website responds and changes to based on the user’s screen size. This is accomplished with “element stacking”.. Element stacking – Imagine there is a border around every piece of this website… The logo has a border around it, the text have borders around them, and the images have borders around them. Now these border can’t go any further than the edge of the screen and can’t cross over elements that are below them or to the right (usually). So in the case of an image, the image will keep it dimension (width and height ratio), while shrinking in size. And for text. As the screen gets smaller, the text will stack below. Hopefully – this helps you understand the concept a bit.. If you’re looking for an expert mobile friendly web designer then look no further.. We are here to help!! Give us a call at (702)904-4262 or email us.